Shirts like this are always so easy to style. The quirky vibe they give off can make anything look fun and carefree. Since I wore this to the airport, I made sure the rest of what I’m wearing are as comfortable as my shirt. The last thing I need are frilly layers of clothing! I needed something I can easily move around in so a pair of pants are definitely preferred over skirts and dresses. AHHHHH! Finally! Let us all welcome Givenchy’s Antigona to the family. It may not be the silver one that I’ve been lusting over since forever but still. LOVE!!! Ate Cam, Ate Cam, Hiii :) Shocks, I miss you already. Ate, I agree with what others are saying, even the most simple clothes, when you wear it, they became the most fascinating one. ❤ Nways, Ate who is your fave Disney cartoon charter? :) Mine is Cinderella! Haha! Your getup is sooo cute! Pwede pa lang pormahan ng maganda kahit cartoon character ang shirt! Akin na lang your pants. lol! But I love my pants too! Haha thanks Mommae! I love when your hair is in a bun! ^^. I love the colour combo of your outfit! aw I love the way you matched all that! I also really love your jeans and that sweater! It send us to our happy place right? Thanks Christine! Well the Nightingale can fit more stuff in but the Antigona is sooooo pretty :) I say Antigona! i love the bag! wooh! Hi Camille~ where did you purchase your Chanel earrings? Nasaan mo binili yung bag mo? I loooove! omg.. i love the pants… i woud go and get one..as in now na! minnie is ur fave cartoon character? The jacket really does it for me with this look! Blue is my favorite color and it compliments the Minnie sweatshirt and bag perfectly. =) very cute. I love the outfit its casual, colorful and comfy perfect for days when you just want to be fuss free. So cute. :-) I love Minnie. I think it was sort of ash blonde? Not sure :) Thanks Daisy! I love everything about this look! That handbag is to die for and I love the print of the pants! 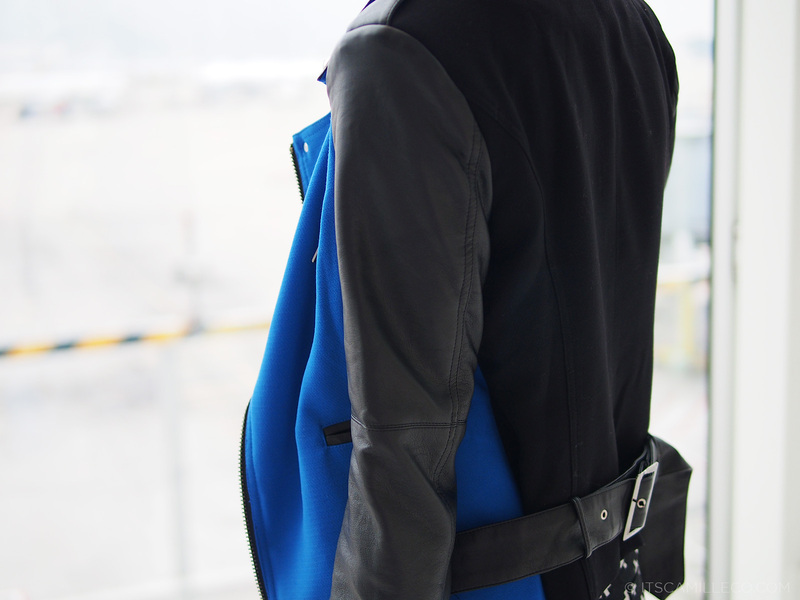 I really wanted a basic black leather jacket but this has convinced me to look for one with a pop of color. Hahaha oooops! Let me edit that haha! Thanks Kathleen! hi, you wrote ‘Channel earringsz’… and it seems like a typo?? *concerned fan* haha. LOL! Thank you concerned fan Erika! :) Changing it haha! aaahhhh i love your antigona!!! love the color too! I love your Givenchy Bag!! :) How I wish own even one Givenchy! Sobbing aside, you look cute with this Ms. Camille :) It makes me want to wear my Minnie Mouse t-shirt right now! 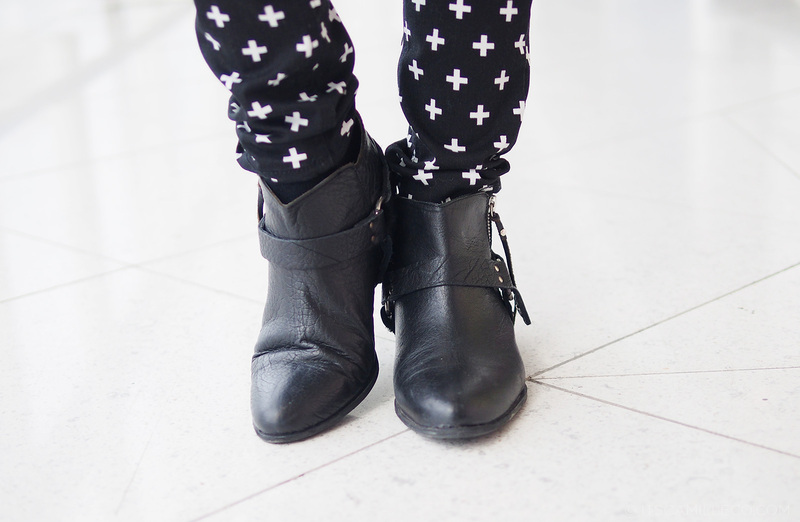 i love it when you wear pants/leggings/tights! i take inspiration from your looks but i cant wear shorts/skirts/short dresses because of my scars..so i’m all perked up when you post looks that do not show bare legs! That givenchy! Who even cares it’s not the silver one … The baby blue is amazing! I so love the look. You look very chic. I love your jacket dear!!! Hi Camille! Well I’ve been following your blog for a while now and I must say I really like your style! I just admire the way you mix so many prints and colors and make it look so nice and classy! I’ve wanted to start a blog too, by whenever I see yours or other great blogs that I like to follow I just think “noooo… you can’t compete with those girls” ;) I think I don’t have enough self confidence! Love the blues in this outfit! Love the jacket and Minnie jumper! Love the sweater and the jacket :D! Such a youthful look, great style! and want to ask lang po what’s the best outfit to wear for me as a college girl student? lalo na po we are in atropical country..
you look lovely, adore the bag and jacket! Não tenho muito o que falar, você está perfeita! Amei a cor do seu Givenchy e a camisa com a Minnie! Love your outfit! Ang cute! Nice Givenchy! =))) It’s soooo cute! Hi! Pretty Cammile, pwede mo ba ilagay sa blog mo kng san location ka ngapapapic? Hi Camille! Just dropping by to say I LOVE your blog so much. Not only are you a great stylist, but also very amusing and bubbly! Love your shirt by the way! If you’re up for more, I know there are plenty of cartoon character shirts in SM GTW (I buy at SM Cebu). btw, miss Camille, I would like to ask, how much do you usually pay for the tariff if you order your clothes online? Lovely outfit! That bag is absolutely stunning! so adorable! especially the bag! OMG! I suuuuper love minnie,! this outfit is perfect! :)) especially the bag! AHHH!! love the entire outfit and especially the color of your Givenchy!! 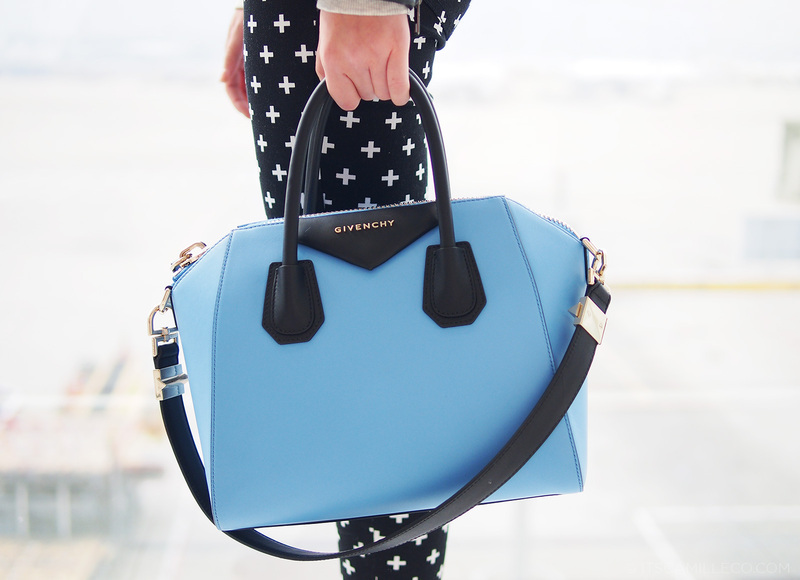 In love with your Givenchy bag !! !